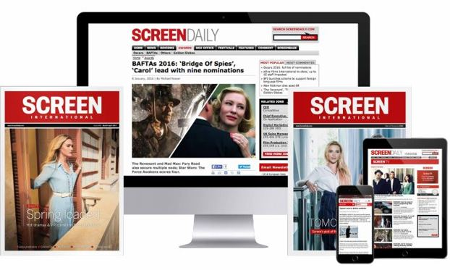 Welcome to Screen’s annual UK Stars of Tomorrow, a glimpse of the hot talent which will dominate UK and international film over the next few decades. The feature, which selects the most exciting names about to break each year, has been running for seven years. Each year, Screen contributing editor Patricia Dobson works painstakingly over the course of several months to curate the selection, watching shorts, reading scripts and consulting with agents, producers, casting directors and development executives over the new names likely to break out. Dobson is no pushover and, despite aggressive pitching, works to achieve the most balanced snapshot of promising talent during each year including both obvious and less obvious future stars. Her success rate is impressive, and previous Stars of Tomorrow include James McAvoy, Robert Pattinson, Emily Blunt, Carey Mulligan, Andrea Arnold, Rupert Friend, Dev Patel, Aaron Johnson, Gemma Arterton, Rebecca Hall and many others. Last year’s talent included Luke Evans, already on a steep ascent after roles in Clash Of The Titans, Robin Hood and Tamara Drewe, and Olivier award winner Aneurin Barnard. It’s no wonder that Hollywood agents, managers and casting directors clamour to get their copy each year. This year, we gathered our stars for a photo shoot in early June at The Club At The Ivy in London, which generously donated the use of its elegant rooms to the session. And later in July, Screen and De Lane Lea studios are hosting a summer party to celebrate this year’s line-up at The Red Room in Mayfair. As is our tradition, we also teamed up young talent with established film-makers. We would like to thank Mike Newell, Mike Leigh and Christopher Smith for kindly agreeing to talk with some of the young directors. Videos of these insightful conversations are available to view on ScreenDaily.com. Enjoy discovering this year’s selection of talent; we wish them a glittering future. Click to go to the The Actors or here for The Film-makers. Shot on location at The Club At The Ivy, London, June 8, 2010. Group photography by Phillip Waterman. Portraits by Peter Searle and Helen Marsden. Class of 2009: where are they now?